One beautiful young horse, Wild Prairie Rose, a Nokota horse born 2011 in North Dakota, daughter of Lucky Dust born wild and free in the little missouri badlands. 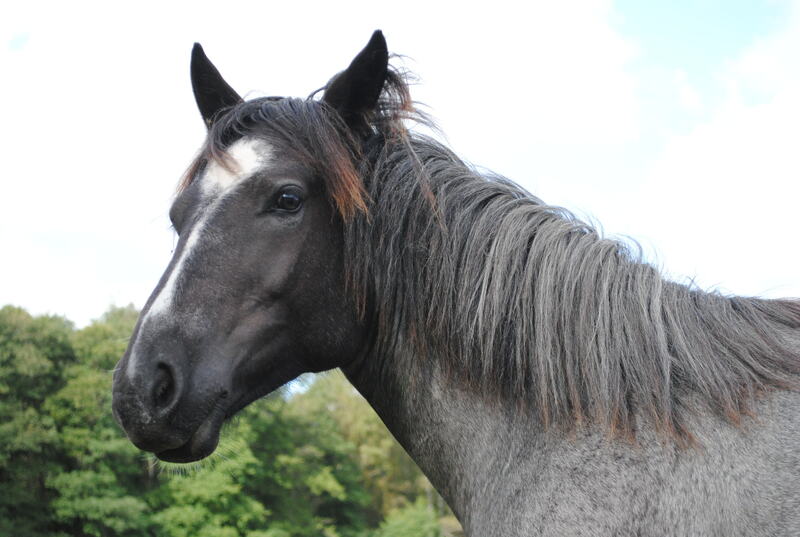 Blue Roan horses are hard to resist, as is this weeks theme: “Blue”. So here is our first entry ever, for WordPress Weekly Photo Challenge.